"The lady is very gentle and it's the least painful threading I've ever had (even better than the London Salons I've used). I've used the Sun Angel here too, it checks your skin first before you get on and adjusts itself to your own skin type so it's a safe bed with very good results. I found the salon very clean, hygienic and comfortable with lovely staff who make you feel really welcome. Would definitely recommend." Best Tanning Salon by Far, with Friendly and Helpful Staff! "I have tried lots of tanning salons and this is by far the best. I love having a spray tan here as you do not get that horrible orange look, it's a lovely natural brown like you have just come back from holiday, it also does not have the horrible fake tan smell as they add scents to the tan (and you can choose the scent you prefer). The staff are lovely and make you feel at ease if it is your first time getting a spray tan. I also love the Sun Angel sunbed; you don't burn on it as it measures what type of skin tone you are before you get on. You look brown after one go. My favourite tanning shop by far." Brilliant Helpful Staff, Lovely Clean Salon. Would Recommend. "I have used this tanning salon many times now, and don't think I would use any other one in Harlow. This tanning salon clearly beats all others in Harlow, the staff are all very well trained and polite, they make an effort to get to know their customers on a first name basis and offer advice that is key to you as a person. It's very very clean. All the equipment is outstanding quality. I have had numerous spray tans here as they are really good plus you can pick your choice of fragrance so you do not get that initial fake tan smell that you get with other spray tans. Staff are really friendly too. Nice natural colour with no streaks. have not tried the Sun Angel yet but have heard very good reviews about it." "After walking past, I thought I would give this new Sun Angel bed a try. I came off the Sun Angel and looked a lot browner than I usually do when coming off of a normal sun bed. I was even more pleased the next morning as I was darker! Before trying Shwe Tan, I used to have 3 sun beds a week elsewhere (bad I know!). I now have one Sun Angel a week, so I'm also saving money! I highly recommend the Sun Angel, it's so much safer than any other sun bed, and also gives you a much deeper tan that lasts longer." Great Spray Tans from Experienced and Friendly Staff! "I have never been a great fan or user of spray tans in the past as I am very fair and have always had a fear of being orange from fake tans! I have used Shwe Tan a number of times for spray tans and can highly recommend it. All the spray tans I have had here have left me looking like I have a light glowing, fresh tan (people always ask if I have been away, but I have never been the nice golden colour I get from a spray from the sun!!!) The scents are lovely and fresh without the tell-tale biscuit fake tan smell. The girls are really friendly and put you straight at ease with light chatter that helps you to forgot you are in your birthday suit! I have had a few sunbeds which are also great (esp. the sun angel for pale girls like me!). If you're looking for a great spray for a special occasion or just to make you feel special during miserable times then this is the place for you!" "I went to Shwe Tan for a Spray Tan when I was in Harlow Visiting my family. It was the first time I had ever had one and I was really nervous. I have to say the staff where so welcoming and the lady who carried out my tan made me feel so comfortable and was so lovely to talk to. The salon was very well done out and very very clean. 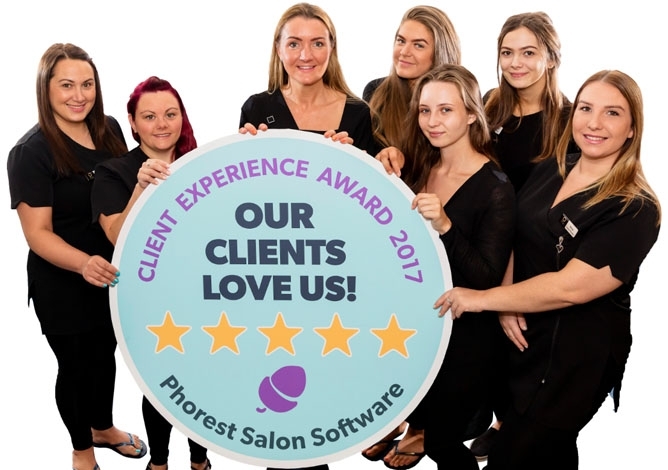 Since then I have tried a few more salons and tans as I don't live near Harlow and nothing comes close to the tan I had at Shwe Tan and the service, just wish I lived closer."